This is what a water bottle looks like before it's expanded using compressed air. Saw the "2 liter bottle before it is filled with compressed air" post earlier and got a little excited. I work for a large supplier of plastic bottles. 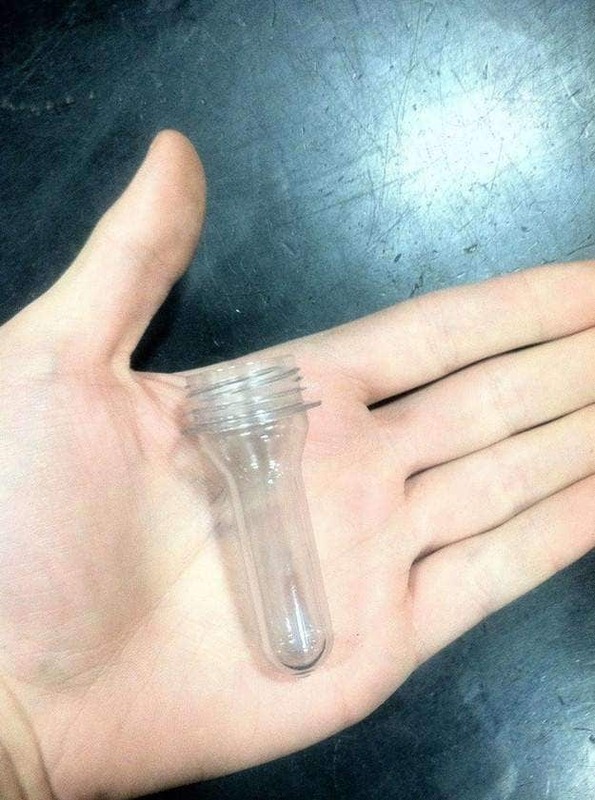 Here's the pre version of a water bottle. 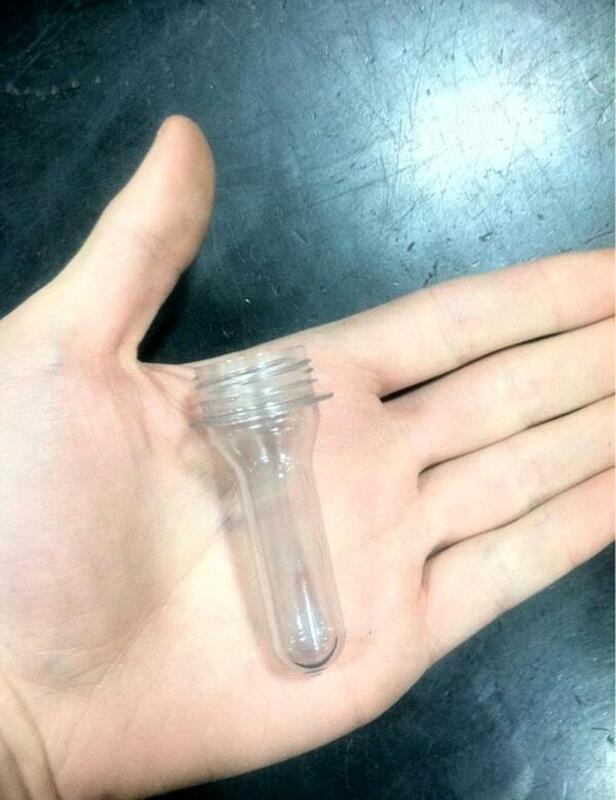 Apparently, this is what a water bottle looks like before it gets expanded.